I like to draw my noses at a medium length, keeping the tip of the nose under Line 1. The angle of the nose depends on the face I’m drawing, but I tend to draw them at a 50 degree angle. Note: Remember to use an HB pencil with the lightest amount of pressure for each of the steps so you can easily erase outlines when you’re done the drawing. From the jawline, draw an outline for the ear. This outline can be anywhere from roughly the CENTER LINE to Line 2. 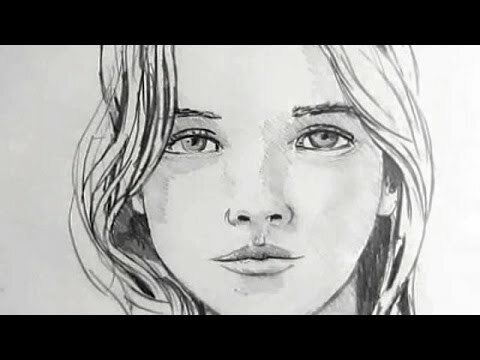 When you’re comfortable, try drawing some faces without the ruler on the side. The examples below have very rough guidelines. In fact, if you look closely you can see just how sloppy they are. 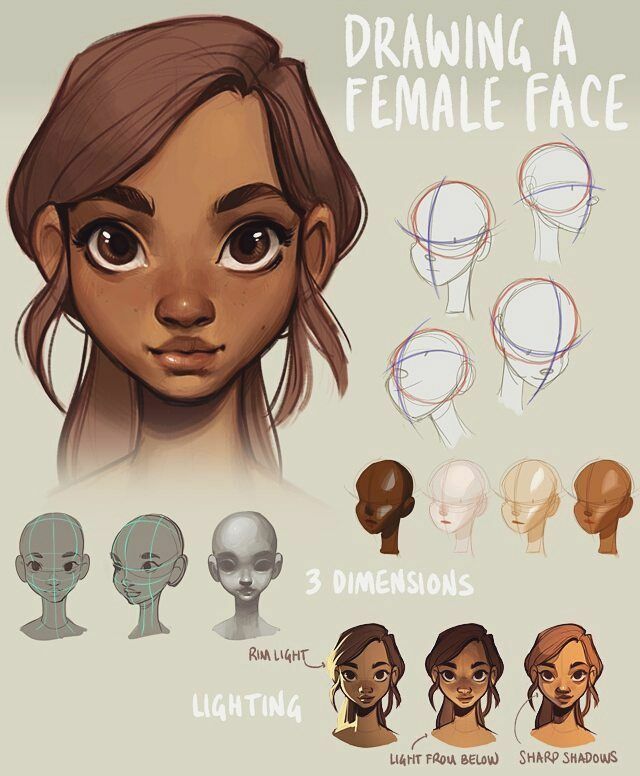 Once you get the hang of it, you should be able to draw realistic and unique female faces on the whim! 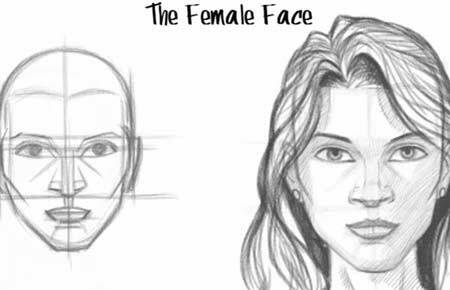 Struggling to draw female faces from the profile view? 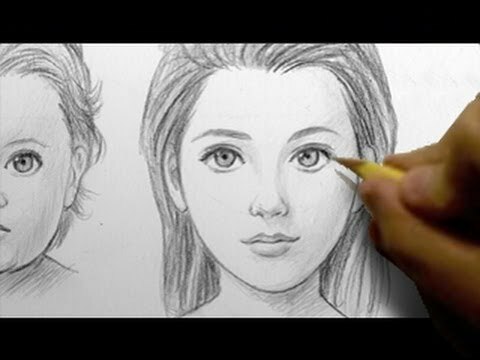 This tutorial gives you a great way to practice getting your proportions right and eventually being comfortable enough to draw quick sketches. If you haven’t read my nose tutorial, go here first. 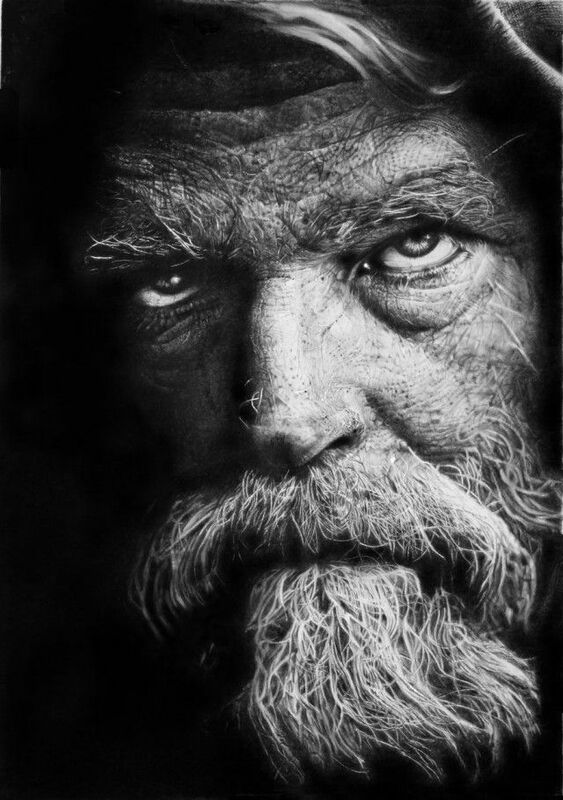 I prefer to draw the nose without the circles, but you can use that technique if you want. Don’t worry about shaping the jaw or chin just yet. These are just rough guidelines! Draw an oval and a line at the bottom. The line should be distanced away from the oval at about half of the oval’s vertical diameter. From the nose’s base, form a natural curve that dips down through Line 2 and wraps back in towards the face, creating a full top lip. The corner of the mouth should not extend too far past the nostril. Extend the jawline beyond the vertical line that goes down the center of the face. 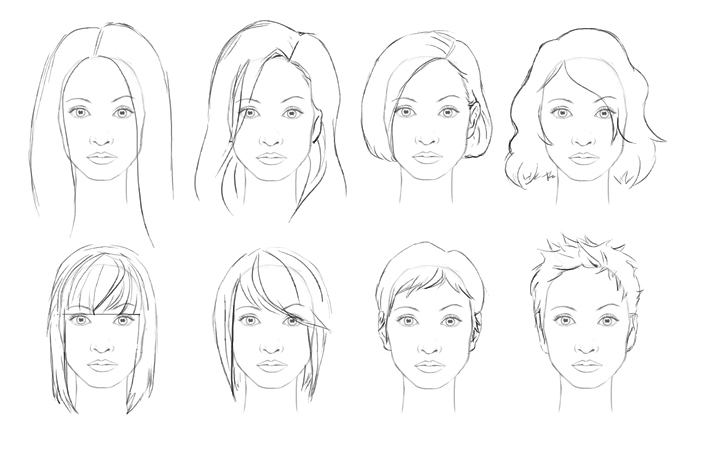 When drawing females, I tend to give the jawline a soft or rounded, less angular appearance. 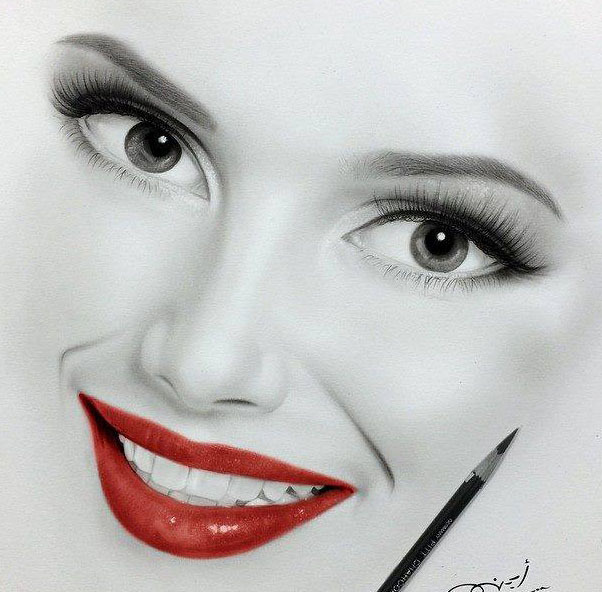 To find where to place the eye, draw a vertical line from the corner of the lip to the CENTER LINE. The eye should be drawn where those two lines meet. 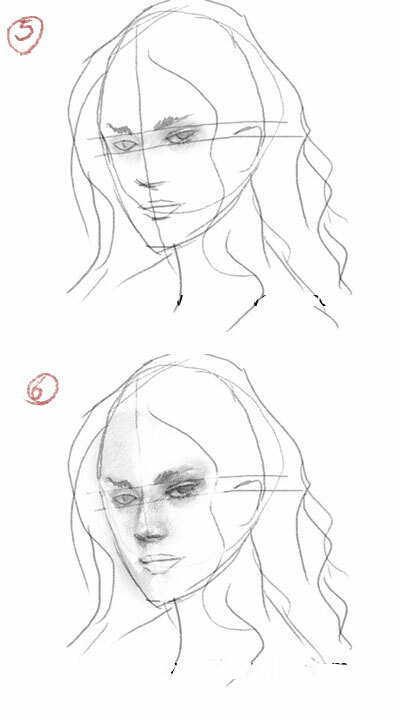 If you want more details on drawing an eye from the side, visit this tutorial. Connect the oval to the horizontal line to complete the shape of the head. Then, draw a long straight line down the middle of the oval. Use the length of the head to make a ruler on the side of your drawing. Don’t draw it too close to the face because you want to make room for the nose. In the meantime, happy drawing and I’ll see you again soon with another awesome tutorial! 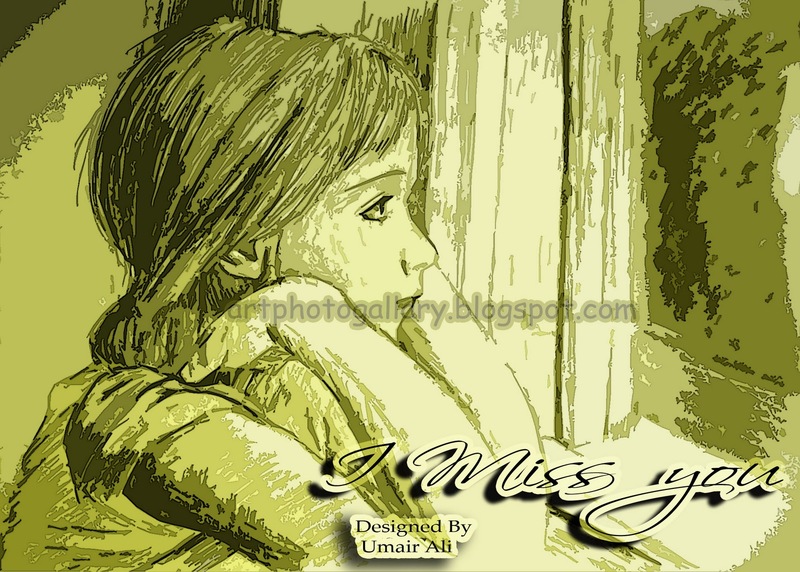 Happy with how your drawing looks? Whip out your eraser and have fun erasing your guidelines! To save time, I like to use an electric eraser followed up by a kneaded eraser to get into those tight spots or overlapping lines. Draw the front and back of the neck. Avoid drawing the neck using vertical lines. Also try to avoid using straight lines, as this will appear very unnatural. 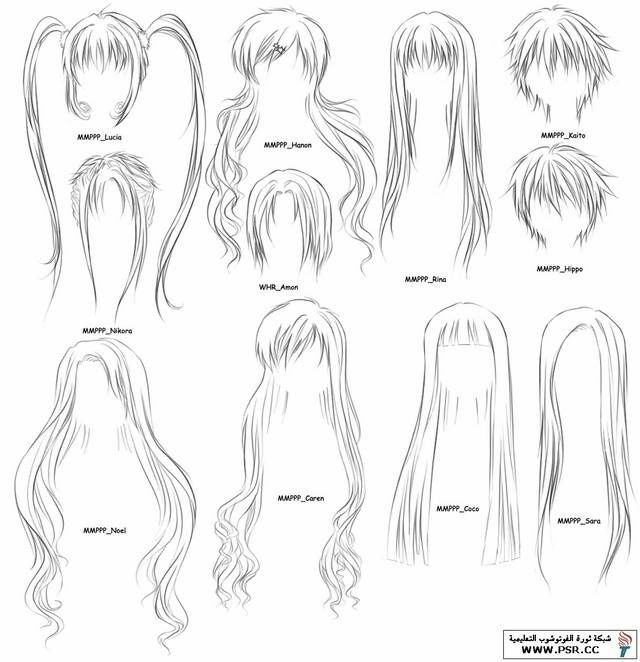 Now that we’re done with the guidelines, let’s start drawing the top portion of the head. Where the CENTER LINE meets the face, draw a shallow curve. I’m trying to avoid a deep curve because I don’t want to bring too much attention to the brow area. Just trying to keep it looking soft and subtle. Keep in mind that your chin and jawline does not need to follow the exact guideline of the head/face shape. My challenge to you is to fill an entire page in your sketchbook with rows and rows of faces. Make them small so you can fit as many as you can (I actually find it more difficult to draw faces on a large scale). It might take 5 or more tries to get the hang of it. 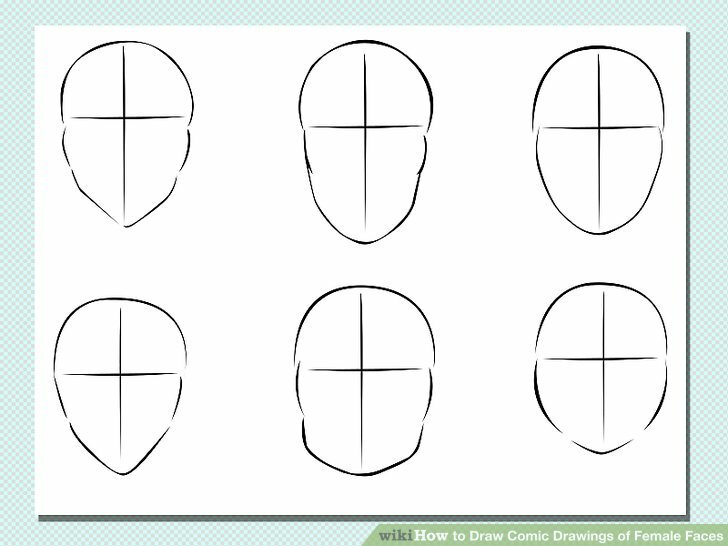 If you’ve filled the entire page but your faces don’t turn out quite right, come back and follow this tutorial again. 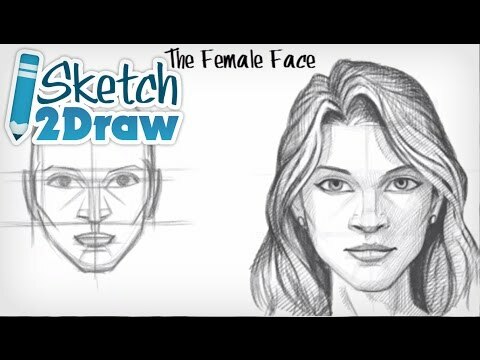 Follow my drawing method 2-3 times and then try some quick sketches without the ruler. You’ll astonish yourself with the level of improvement after only a few practice sessions! Once that’s done, draw a slight bump for the brow and then use the oval as a rough guide to draw the forehead and rest of the upper head. Follow the general shape of the eye to form the eyebrow. Keep the eyebrow well below Line C for a relaxed look. 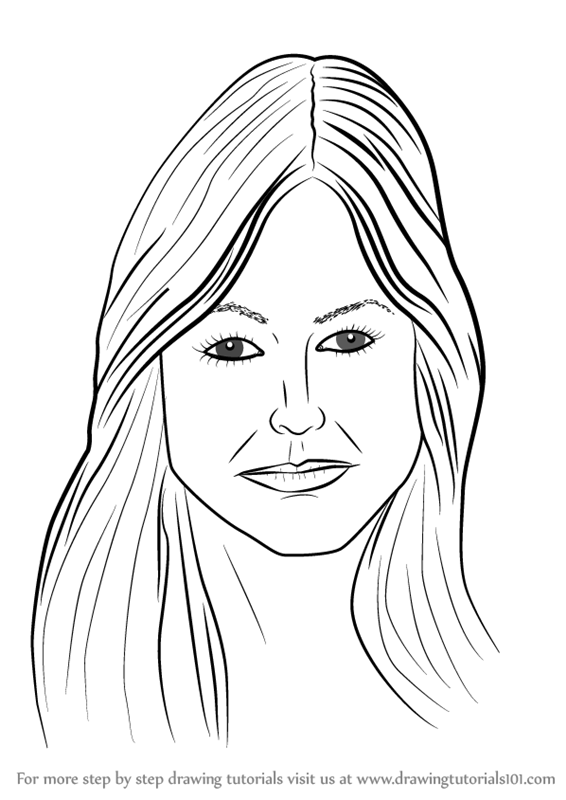 For a more surprised expression, draw the eyebrows a little higher and stretch the eye up along with it. Draw the forehead’s hairline starting between Line A and B. When you draw the hair at the sideburns (hair between the ear and cheek), keep your lines extra light because females have very sparse sideburns. Don’t forget to give the hair some volume, for more on that, visit my hair tutorial. Divide your ruler into 8 equal spaces and use a straight edge to draw lines from each tick through the head. Don’t forget to keep your lines light. It’ll be a pain to erase later on. When you’re done, check to see if there’s enough space for the chin or if there’s way too much space. Adjust the lips accordingly to prepare for the next step.